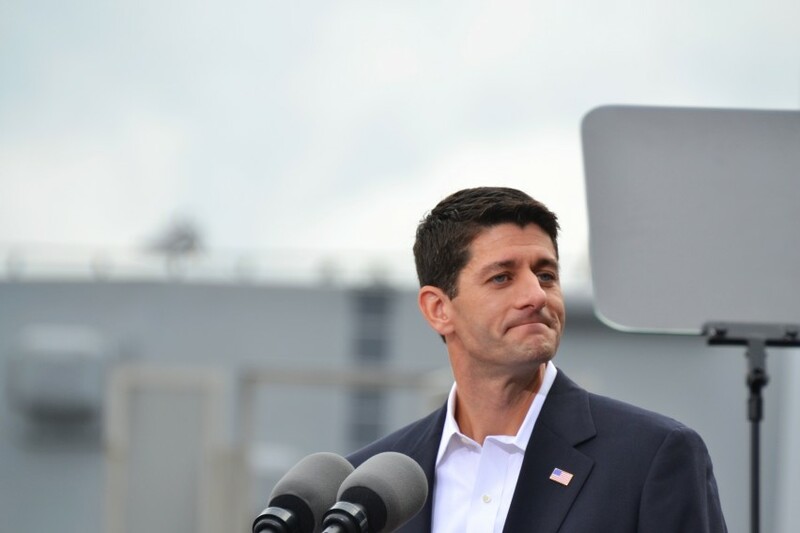 Peter Dreier: Hey, Paul Ryan—We All Depend on Government—Even You (and Your Mom)! Wisconsin Rep. Paul Ryan is driving a hard bargain over the Republican Party’s plans to make him the next House speaker. But that’s not surprising. He’s also continually played tough with the middle class and the most vulnerable in our society. In his constant assault on ‘big government’, he’s called for slashing public education, roads, and public services like food stamps, the core public goods that lift people out of poverty and strengthen our economy. With Ryan in the national news again, we should all take a moment to remember his vision for the role of government. Peter Dreier sums it up in this piece from 2013, when Ryan had food stamp recipients in his crosshairs. Hey, Paul Ryan—We All Depend on Government—Even You (and Your Mom)! Rep. Paul Ryan is back to his old tricks, demonizing people who rely on government to improve their lives. This week, his target was food stamp recipients. He’s already come out in favor of $20 billion in cuts that will throw an estimated two million children, elderly, and disabled Americans off food stamps. But now Ryan—the millionaire Wisconsin Congressman who was Mitt Romney’s VP running mate last year—is pushing an amendment to eliminate food stamps for people who have $2,000 in savings, or a car worth more than $5,000. This is the Paul Ryan whose budget plan would have slashed funding for public education, roads, and public services that are the investments we need to lift people out of poverty and strengthen our economy. Now he’s taking aim at the most vulnerable people in society—food stamp recipients. Public education, roads, and public services like food stamps are the core public goods that lift people out of poverty and strengthen our economy. Ryan worships at the altar of novelist Ayn Rand, the philosopher of you’re-on-your-own selfishness, whose books were required reading for his Congressional staffers. This post originally appeared on HuffPost on 06/21/2013.